Crochet Club: the Man Hat! Brilliant Kate Eastwood from the Just Pootling blog has designed a quick crochet hat for the men in your lives! Watch out though – once you’ve knitted one, everyone will want one! With the cold weather sweeping in this week, now seems like the perfect time to start making warm woolly hats for all the family, and this chunky beanie hat is certainly perfect for keeping man ears toasty and warm! This pattern is written in UK terminology, click here for a handy conversion chart! This is a very simple hat pattern: the hat is a rectangle of crochet, worked in TR and a rib effect, that’s sewn together along the shorter edges and then gathered at the top! For my hat I used 2 x balls of Stylecraft Weekender in Charcoal 3682 and a size 6mm hook but you can use any super chunky yarn – and one of the great things about this pattern is that as long as the finished size of your rectangle is 29cm top to bottom and 50cm wide you can effectively use any yarn and hook size. I have made this same pattern using two strands of different coloured DK yarn together, and this created a lovely tweedy effect to the hat. Begin by working a loose chain of 41 stitches. At the end of the chain, turn, yarn over and work a row of TR, beginning in the 2nd chain from the hook. At the end of the row ch 1 and turn. You are now just going to continue working rows of TR until the right length is reached but to create the rib effect you will be working in to the back loop of each stitch only. If you look at the left hand side of the above photo you will see the top of the row of stitches that you are working in to for your second row. If you look at the stitch where the loop is you can see that I have worked in to the back loop only when making the TR. This is what creates the ridged, ribbed effect. Continue working rows exactly like this until your work measures 50 cm – all you need to remember is to ch 1 and turn at the end of each row and to work your TR in to the back loop only. Once you have reached the required measurement, do not finish off as you are now going to fold your work in half, short sides together, and carry on using your yarn and hook to join the two sides together. Work a row of DC all the way along that joins the two edges together. If you prefer you can also do this using a needle and a length of yarn. Now, making sure your seam is facing out, so right side on the inside, using a needle and thread sew a gathering/running stitch about 1 cm down from the top edge, all the way around the top of the hat. Carefully pull the thread and ease the gathers around neatly. and then to make sure the fastening is secure, stitch a few more stitches both around the top and across the top. The top of the hat should now look like this on the inside, below left, and below right, on the outside. Once your hat is turned the right way out, fold the bottom edge of the hat up a couple of centimetres to make the turn up. And there you have it – one very snuggly hat and with 14th February just around the corner what could make a better Valentine’s Day gift! 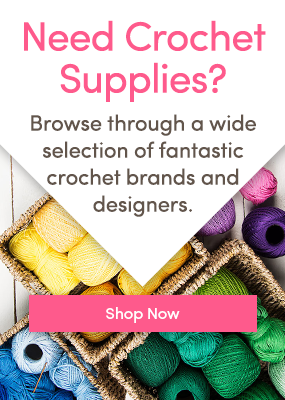 For more fabulous tutorials, explore our Crochet Club posts! Follow us on Bloglovin’ and never miss a post! Crochet Club: Kate Eastwood’s Sparkly Stars Christmas Stocking! Crochet Club: Matching mitts and scarf for the ladies in your life Crochet Club: dog mat! Crochet Club: Cat mat! One Response to Crochet Club: the Man Hat! Great simple pattern, well done!